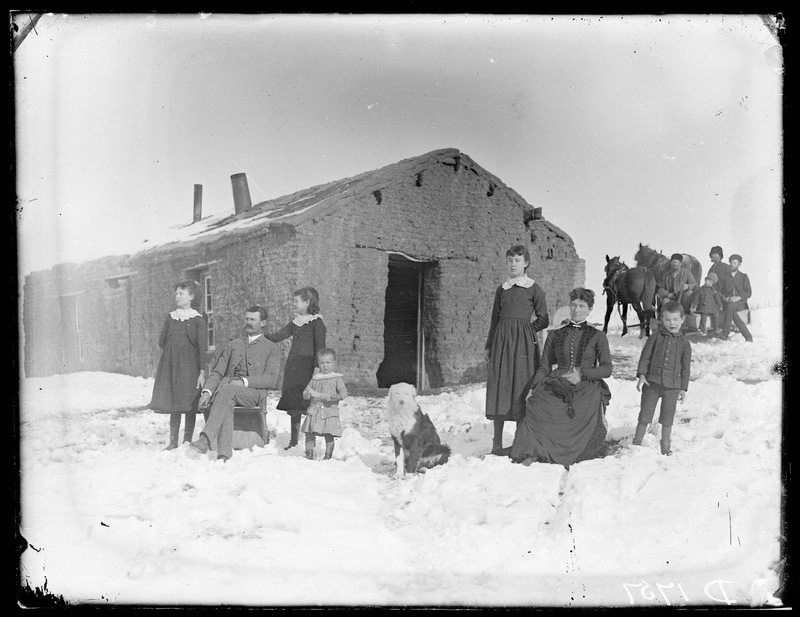 Christmas memories abound in the diaries and reminiscences of sod house pioneers. Many pioneers praised those homes for being “warm in winter and cool in summer.” What was Christmas like for them? "I got a new red oil calico dress I will send you a piece of them a each one of us girls got a doll and uncle Giles put a book on for Sabra and me & each one of us girls a string with candy and raisins on it. Christmas day we all went to uncle Gileses & New Years we were invited to a New Years dinner up to Mr Bumgardners. I eat till I nearly bursted eating oysters & good things. Christmas night I got pair of stockings & a nice new book called the three white kittens & Sabra & Maggie both got a new pair of stockings & primer books & New Years all of us girls got a candy apple a peice & a paper sack of mixed candy & a paper sack of raisins"
"Lilas and I received dolls which Mother had made. She bought the china heads and made the bodies and dressed them. Lilas is nearly two years older than I, but needless to say this was really one of our best and most exciting Christmases, as these two little girls had never had a doll before." … Every year our household would know what was coming when my English mother started getting things together for her famous puddings … Our Christmas celebration was always at our church … We never received any presents at home. Dad always “got us to the church on time.” There under kerosene lamps, things really were jumping. On the platform there was a hand cut cedar tree … decked out with handmade paper dolls, angels, stars, spangles, animal crackers, ribbons, and tinsel. The tree was lit with real candles. The final touches were festoons of cranberries and popcorn strung on a thread. Before we could have our presents, there always had to be a program. The bright kids hastily recited Christmas pieces. There were always squeaky carols by the angelic looking small-fry. Finally everyone was seated—the grownups in the pews, and the youngsters squatting on the floor in front of the tree. The preacher would read the story of the Christ Child, and at the appropriate moment, Mrs. Finch at the piano, would break into “Jingle Bells”, then the back door of the church would open, and in burst Santa Claus, waving his arms, and wishing us all a Merry Christmas, amid squeals of juvenile delight. Santa would pat his round little belly, and pick out a couple of small helpers, who would hand him packages so he could … read the names in a loud voice … Few presents were luxuries. Most of them were things like shoes, pants, coats, socks, gloves, handkerchiefs, shirts, or ties. Some of the presents were made over “hand-me-downs” from the older kids. I was never ever more tickled than when I unwrapped my older brothers’ first base mitt. After the presents were all given out every child was given a small paper sack filled with candy and one orange. After Santa wished us Good Night, the families took time to visit. Meanwhile, dad was putting hot soapstones wrapped in blankets in the hay. When we were ready, he took the blankets off Snip and Barney, after which we loaded up and headed West … Before we “passed out” on the way home, we could hear bells jingling on the harness, and louder still, dad singing folk songs and carols on his lonely perch way up on the spring seat. If he was short on melody, he made up for it in volume. What special food says “it’s Christmas” to you? Do you have a musical memory of the holiday that’s especially meaningful? What a delightful post! Thanks for sharing these. Quite different than I had imagined, I must say. Vivi's letter was so unusual the way she went from first person to third person. The way the letters are written as much as what was in them gives such a wonderful peek into the past. Loved the information. Don't you just love finding those first person accounts. It really brings this to life. Wonderful post. I love reading old letters. Thank you so much for sharing! I can still remember that wonderful part of "A Charlie Brown Christmas" where Linus recites the birth narrative from Luke. I read that the folks making that film weren't too crazy about the "Bible part" ... aren't we thankful it stayed! Thanks for this fascinating glimpse into the past. I was surprised by the story of taking the presents to church and opening them there? I've never heard of that done before. I hadn't ever heard of that, either. It certainly would have made a community event out of Christmas! Thanks for posting- nice insight into the past. Growing up we normally had the family over for homemade pasta or ham. We would also take a trip to the mountains to see snow. Home pasta ...yum. One of my favorite Christmas memories is having spaghetti instead of the "traditional." Lovely post, Stephanie. I remember the Christmas that Mother made doll clothes for my sister's doll because money was tight. I don't remember what I got that Christmas that year. It had been so much fun keeping Marsha out of the kitchen where Mom was sewing and making sure she didn't find the "clothes" box, that her reaction to the gift was the most important thing that morning. Thanks for the memory. What a labor of love your Mother provided. Sweet memory. Makes me even more grateful. Thanks for posting. 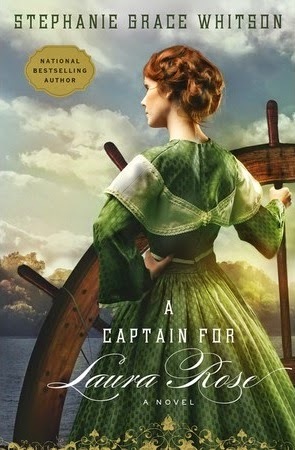 One of the things that drew me to writing historical fiction was memoirs and reminiscences of pioneer women that gave me a sense of perspective on my own trials. Reading about the past always reminds me of how much I have to be thankful for. I loved this post! It was so very interesting. Thank you so much of sharing. So glad you enjoyed it, Melanie. Thanks for letting me know! Well, what I remember was taking a "stand-up" bath in a metal tub! That wasn't in Nebraska (although I was born in Nebraska), but in Indiana. We moved to Texas when I was 9, and I can remember so much enjoying having a "real" bathroom and the warmer weather. Those pioneer women were a strong lot. 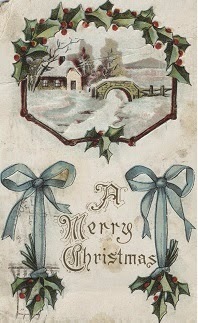 Christmases were much more sparse in those days, and reading about them does make one thankful for what we have now. My brothers and sisters remember those baths, too ... by the stove in the kitchen because there was no central heating. Mom always made shortbread cookies and also fruitcake and mincemeat pies and tarts! They were so delicious. Our favorite Christmas song is Mary Did You Know.